Last year, right after Craft Lake City ended, I decided that the zine I made was going to come out every 4 months. August, December and April of every year would see a new issue. I started planning out the second issue pretty much while I was standing at my table and got really excited about it. Then when December came around, and I had nowhere to really sell the thing other than my website, I dropped it down to twice a year. It would come out in February and August. That didn’t happen either and in May, when I got accepted to CLC again, I figured I should get the ball rolling and start putting things together. I cast a pretty wide net recruiting friends to write things. I recruited a ton of people figuring that a lot of them would flake out. None of them did and I ended up having twice as much material for the second issue. There was so much time spent recruiting writers for content that I pretty much forgot to figure out what to do about visuals. Three days before I had to start laying it out I came up with a little cartoon to use a few times just to break up the huge chunks of text. It turned out really good, I think, and I’m proud that everything came together. The whole concept of Filler is really nothing more than “I have cool friends, let me tell you about them.” I told everyone that I didn’t really care what they wanted to write about or talk about, just as long as it wasn’t already on the Internet or going up on the Internet. 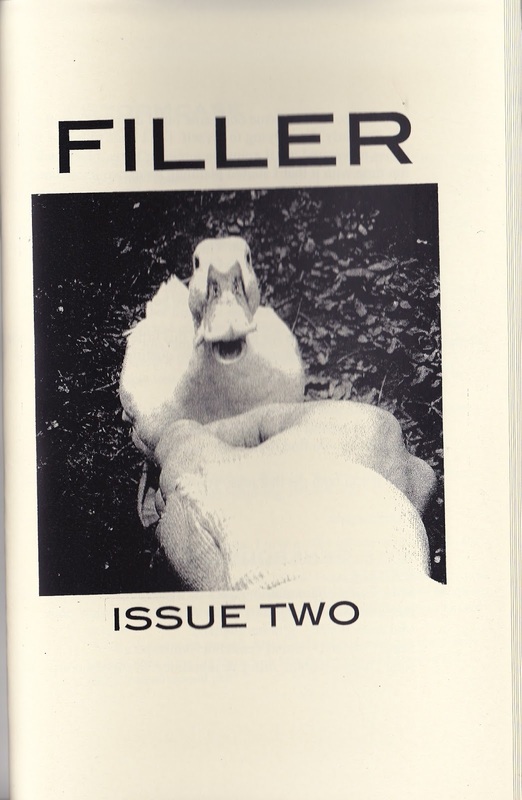 I wanted Filler to have exclusive stuff that they could only find in the zine and people were happy to oblige. I’ve got a few copies left and they’re up for sale in the ONR store if you want to snag one. Here’s a few of the people that contributed to this issue and where you can find them. Mike Farfel – A good friend of mine and the author of the first ONR publication, Tulip. You can find him on Twitter (@onebillionmikes), Instagram (@ohbeem) and his blog, Stay Asleep (http://wakeupmike.blogspot.com/). John Dilley – I met John through the company I work for and he hit the ground running pretty good with Twitter (@john_dilley) and his blog (http://johndilley.wordpress.com/), but he got a new job and he’s been pretty busy with that. Hopefully he gets back to it on a regular basis. He’s got some great stories. Daniel Maland – I met this guy when he was booking shows and doing sound for me at New Song Underground. We reconnected at my boring office job, and he’s since moved on to doing sound full-time. He’s got a great site dedicated to that (www.smallvenuesurvivalist.com) and he acts out on Twitter (@dmaland0) occasionally. Makenna Walsh – He was the first guy to send me anything and it’s a hilarious and sad read all at once. You can find him on Twitter and Instagram (@holeinthehand) and occasionally he Tumbles (www.idlepopulation.tumblr.com). Danielle Mariott – The only lady to break through the boy’s club wall this year (mainly because I see her every day at work, so she couldn’t forget about it). 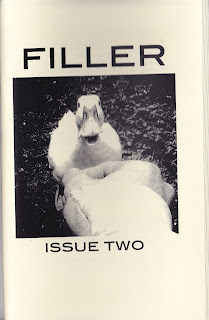 She gave me a couple of great poems that really gave the zine a little bit of diversity. You can find her sharing music and pictures via Instagram and Twitter (@pretty_okay) and her own Internet home (www.daniellemariott.com). She’s also got a great band called Light Black that you should listen to with my Craft Lake City neighbor Carrie Wakefield (Metalhead Jewelry). Casey aka The Big Dogg – I’ve been writing down the ridiculous things that Casey says since 2001 and decided it was finally time to do something with them. I recruited Clark Snyder to draw a quick newspaper comic strip version of Casey so I could add a word balloon with a quote and it turned out great. Watch Casey act out on Instagram (@xperrograndex) and get tattooed by Clark (@clarksnyder) at Cathedral Tattoo. Thanks to everyone that picked up a copy. Issue three will be along at some point. It’s a surprise. I like to keep you on your toes.